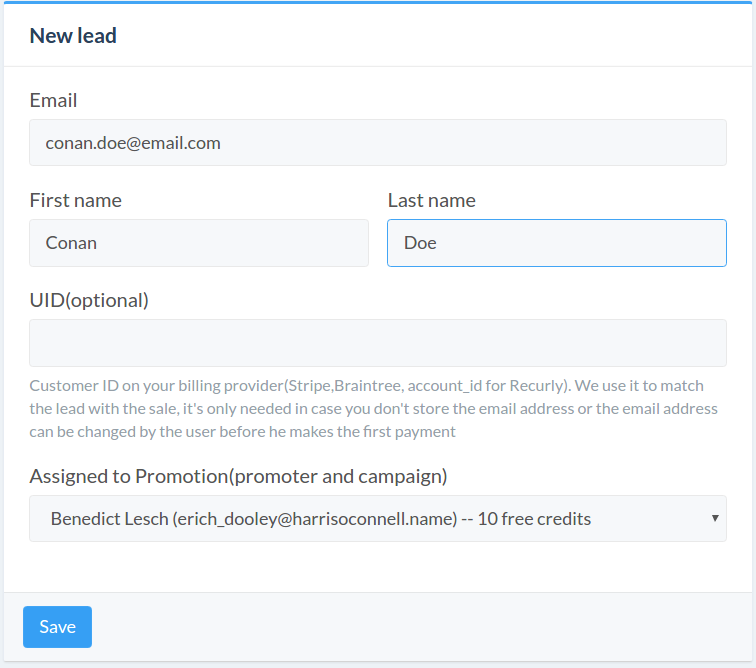 In case your promoter referred leads without using the referral link or signed up from a different device where the affiliate cookie wasn't set, you can add the leads manually for him. Normally, this should be an exception, it's recommended to encourage your promoters to use the referral link whenever is possible. The lead should be in the trial/free period when you create the lead so when the purchase is made, the sale and rewards will be attributed correctly to the promoter. After the first payment, the lead will become a customer. Once you find the promotion run by your promoter, click on the menu icon for that row(on last column).